Whether you're single or taken this Valentines Day, I think it's always fun to get into the holiday spirit with a little light crafting. 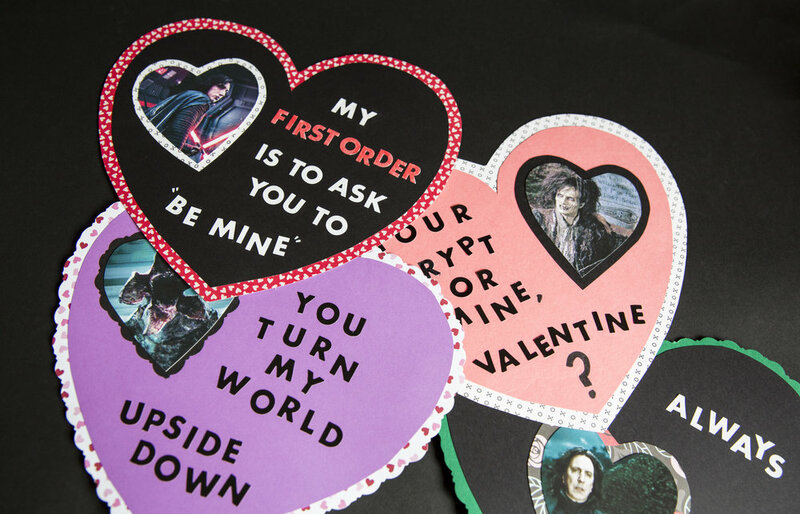 This DIY method for making Valentine cards is super easy even if you're not artistic at all. This would be such a fun activity to do while hanging out with friends. Mix up some amortentia hot cocoa, put on some fun movies and invite your Best Witches over for the evening! STEP 1: Using your scrap piece of card stock (you could even use a cereal box for this) create a heart shaped template. Do this by folding it in half, drawing half of a heart shape and then cutting along the line - like you would have done in elementary school. Unfold and you should have a perfect heart shape. You can keep tweaking the shape a bit until it looks right to you. 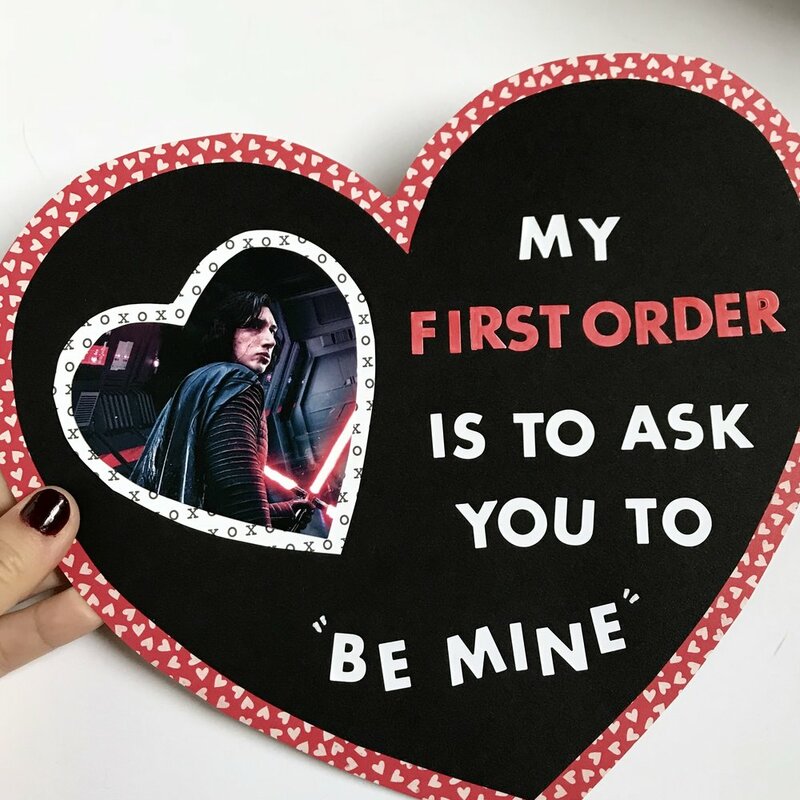 You want to use a scrap piece of paper for this rather than your final card stock so that you won't have a big crease down the center of your valentine! STEP 2: Using your template, trace the shape of your heart onto the back of your main area paper with a pencil, then carefully cut out the shape. 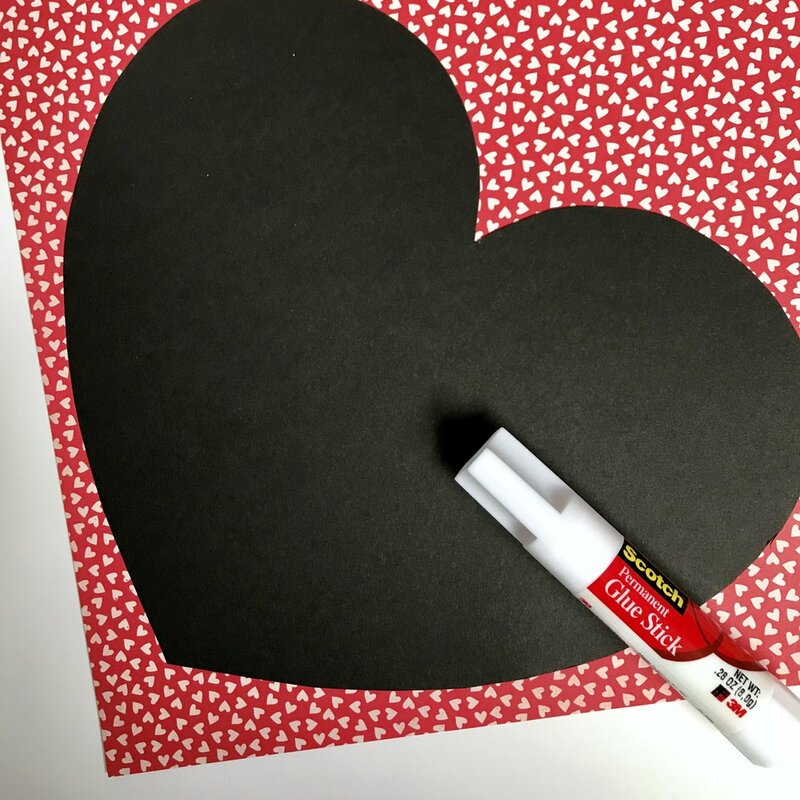 STEP 3: Glue your solid heart shape onto a large piece of patterned paper making sure to leave at least a half inch border on all sides. You may want to stay closer to the edges if it's a large piece of paper rather than glueing right in the center so you'll have extra material left over to add accents later! STEP 4: Carefully cut around the patterned paper leaving about a half inch border all the way around your heart shape. If you have pinking shears this would be a great use for them if you'd like a more decorative edge around your card. If you don't feel confident about freehand cutting an even border you can repeat step 1 and make a larger template for your border heart shape and use that as a guide to cut around the edge of your card.. STEP 5: Cut out your character photo into a mini heart shape. I photoshopped my photos into a heart shape first just to make sure the layout looked good in this shape and so I could try different angles before cutting. STEP 6: Glue your character photo onto a larger sheet of patterned paper (just like step 3) and then cut around the edge to create a border (like step 4!) 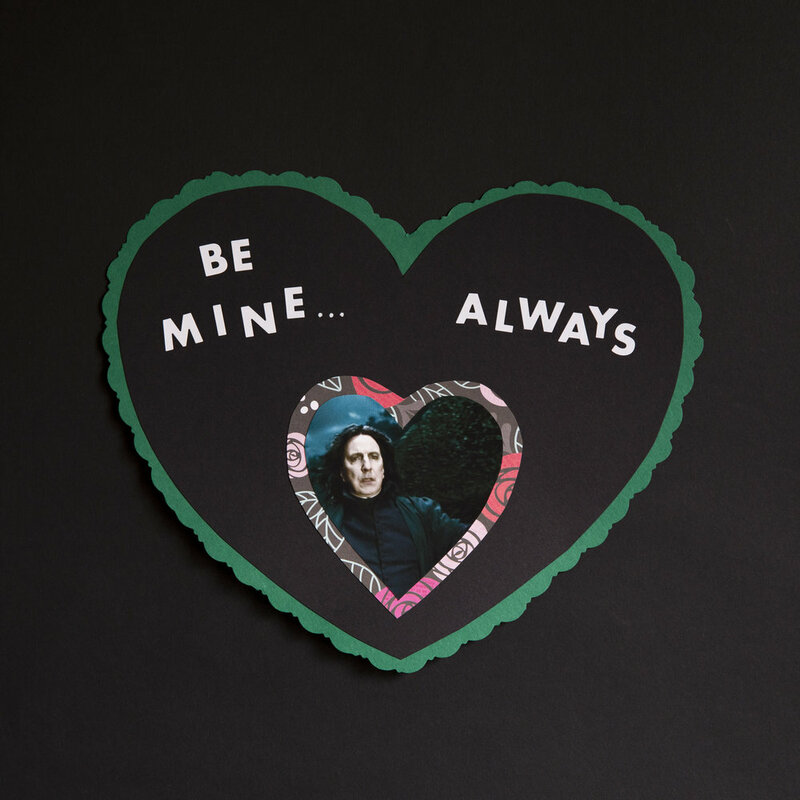 Glue this piece onto your main valentine anywhere you think looks good - but make sure you leave plenty of room for your message. STEP 7: Add your message. I used stick on letters so that it would be easier and more uniform but you could definitely just use a marker or pen to write freehand. If using stick on letters, I found that putting them on more haphazard looks a lot more fun rather than trying to make them look perfect. You might want to draw a sketch/guide before you go into this step since planning out your letter placement can be difficult. Another tip I'd suggest is if you're working on a long word or line you may want to put down the first and last letters where they need to end up and then fill in the middle of the word next, this way you know how far apart or close together the letters need to go and you can space them accordingly. LAST STEP: Let dry and give to your friends, a special someone or keep for yourself! With very little mess and inexpensive materials this is such a fun DIY to do with friends. 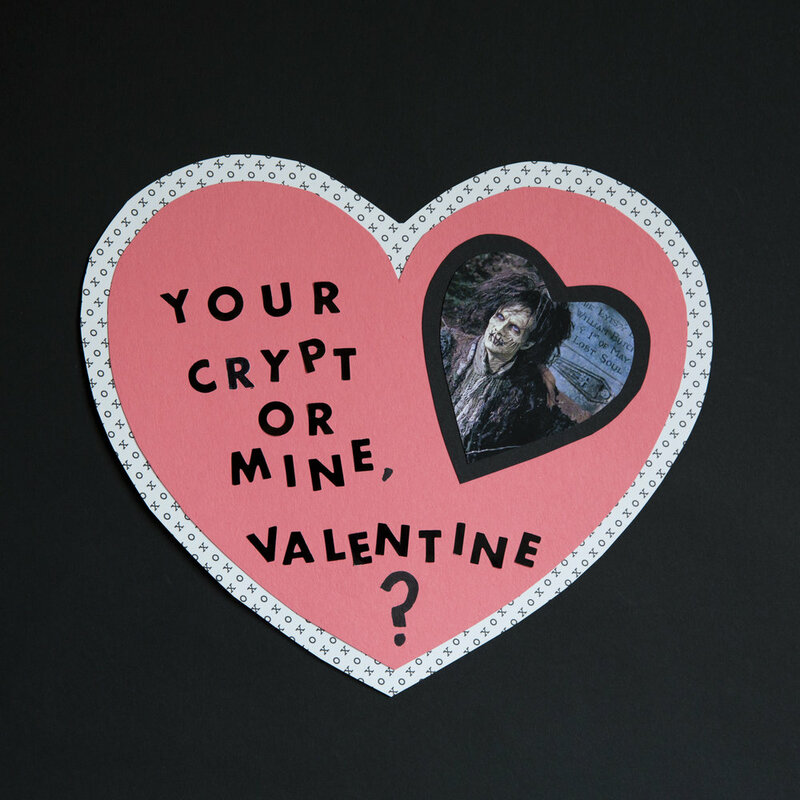 Who will your fictional Valentine be this year? 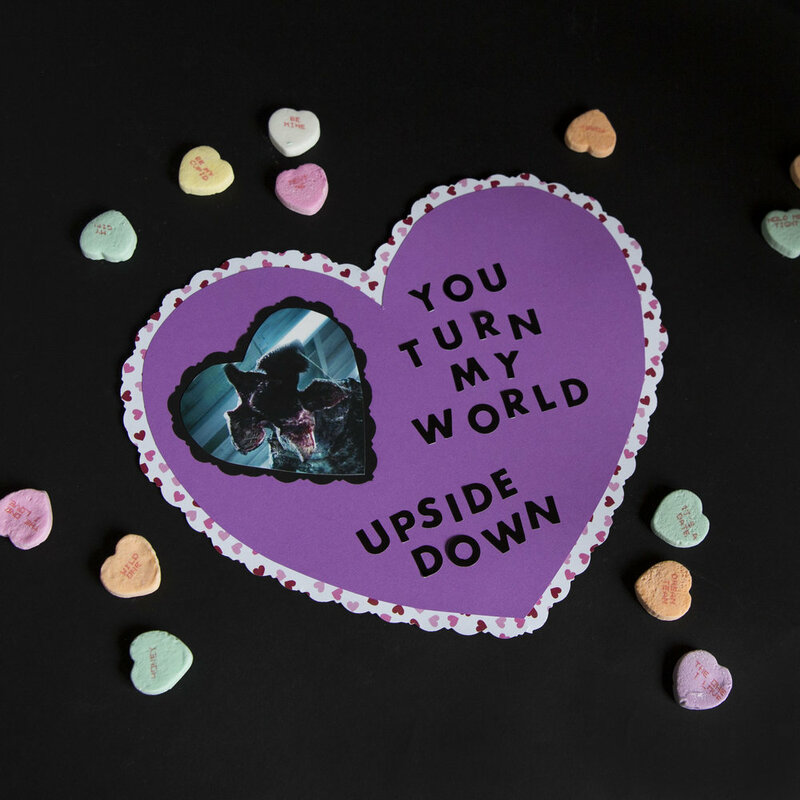 Here are some of the cheesy cards I decided to make. Feel free to borrow my phrases or comment on my Instagram page if you want more ideas!